Skye's greatest asset is the natural beauty and unspoilt landscape. 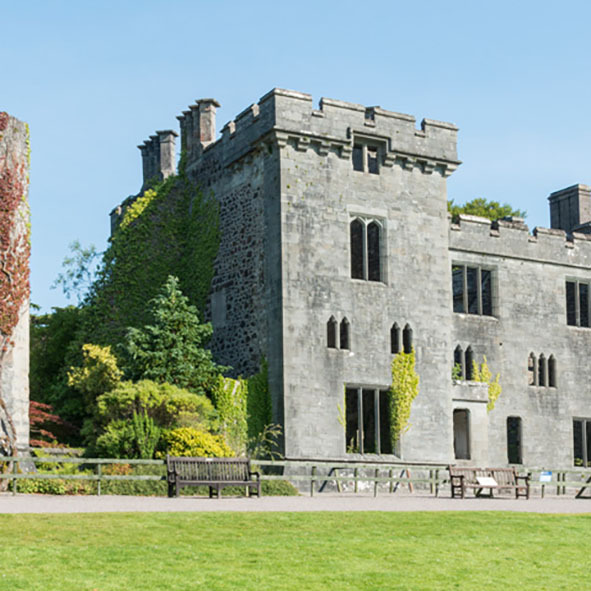 Discover the Island's rich cultural heritage and romantic history through its castles, museums and visitor centres. The town of Portree is a mere 10 minute walk away, with its harbour and genuine village character. 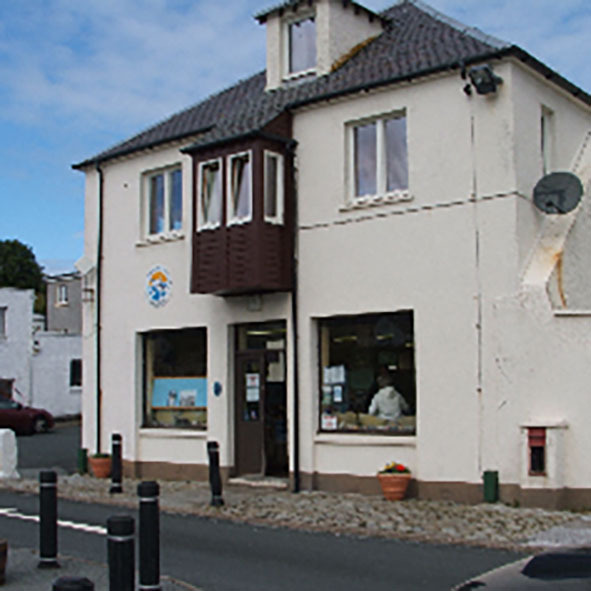 Where you can find the perfect souvenir or enjoy boat trips out from the harbour. 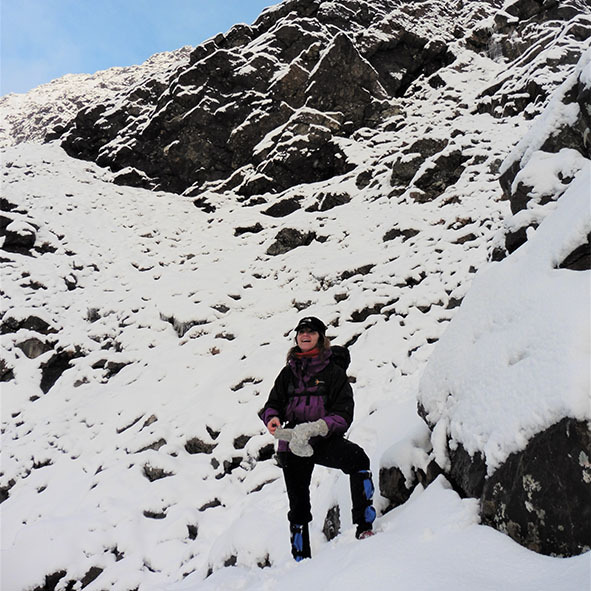 Based on the island, Skye Guides is a company of professional mountain guides established in 1995. You can book instruction and guiding for individual days, specific objectives or dedicated courses whatever your experience. 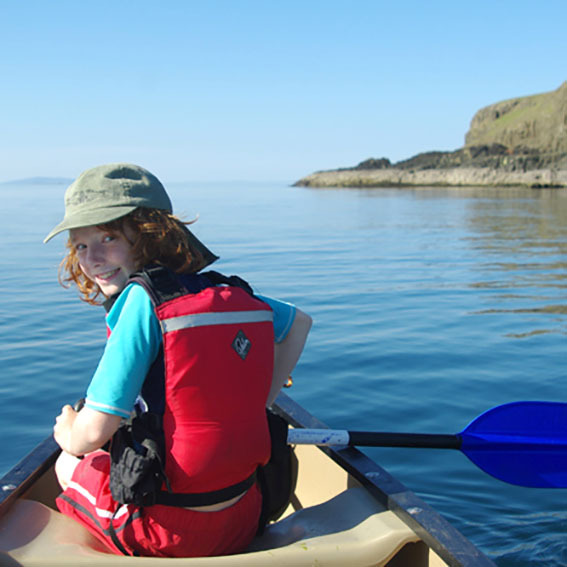 Activity sessions based in the north end of Skye. Families, groups and indiviuals welcome. All sessions must be pre-booked. 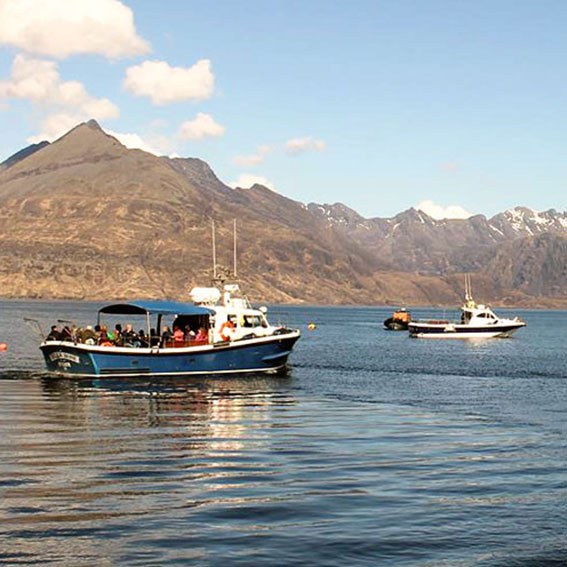 The Isle of Skye's longest running, award winning boat trip from Elgol to spectacular Loch Coruisk and the Seals. A warm highland welcome awaits you from Seumas MacKinnon and his crew on your trip to visit Loch Coruisk. Glass Bottom Boat Trips, Scotlands best semi-submersible glass bottom boat. Brigadoon and her crew have been operating out of Portree since 1996 being the first to bring sea eagle feeding to the public. We encompass wildlife, geology, photography, fishing and private charters. 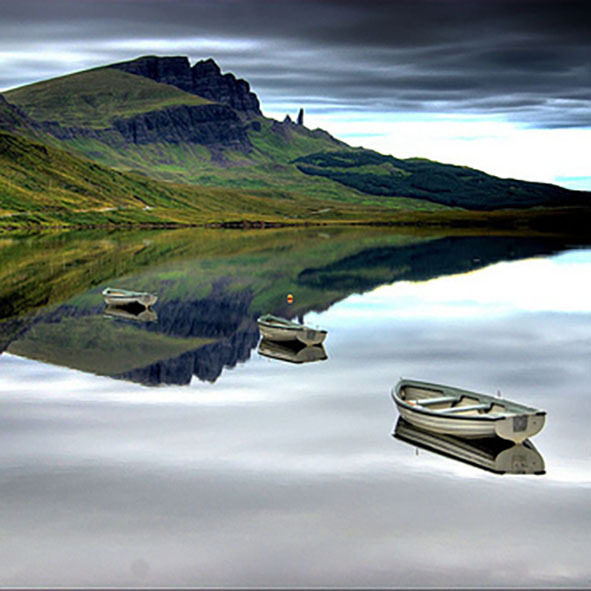 Skyelight Candles is situated in Staffin, which is at the north end of the Isle of Skye on the Trotternish Ridge. From our workshop we have a spectacular view of the famous Quiraing and, within minutes, we can walk over the crofting grounds and be overlooking Staffin Bay. This is the main reason our signature candles came into existence, as these views gave us the inspiration for the Quiraing and Staffin Bay candles that you will see on our shopping pages. We then included the Red Cuillin and, as they say in all good movies, we never looked back! Short 1, 2 or 3 night Private Tours to the Isle of Skye which can include Loch Ness & Glencoe on the route. If we can't build your perfect Tour at a price you are willing to pay then we have failed, NOT you, and you can walk away without paying a penny ! 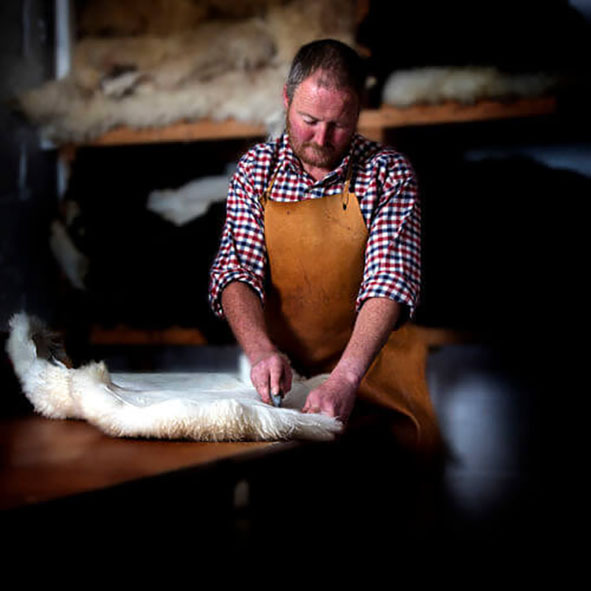 After your tour why not visit our showroom and browse through our comprehensive range of luxurious fleeces and quality leather goods. 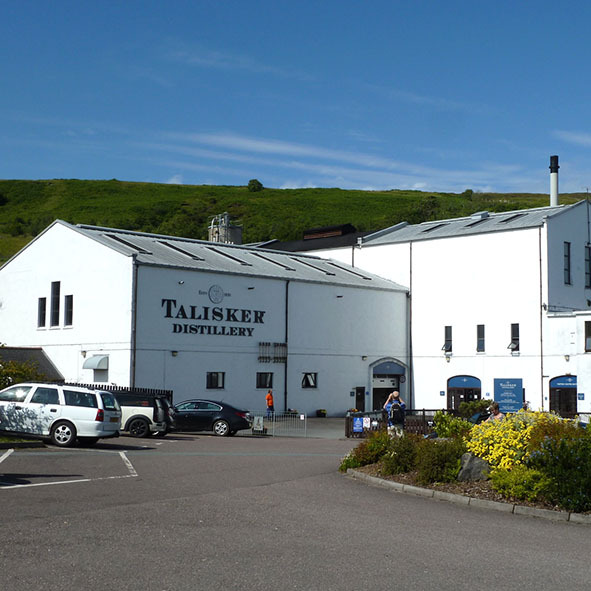 You’ll find the perfect place too for that exclusive and lasting keepsake of your visit to the magical Isle of Skye. 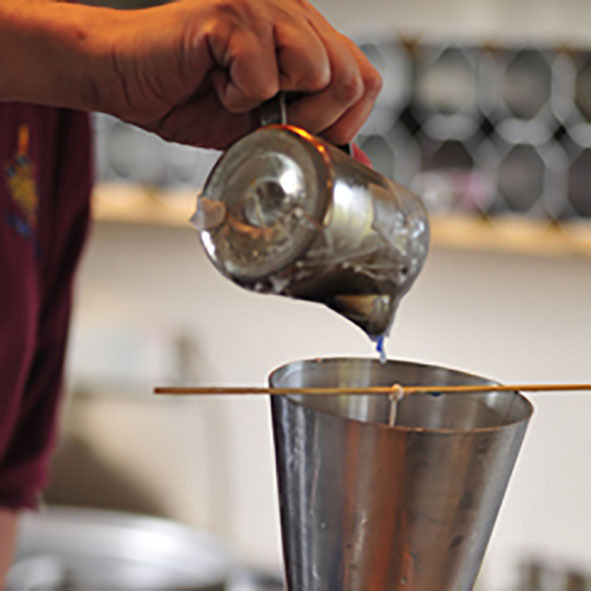 Then, enjoy a cup of artisan coffee whilst sitting on a sheepskin by our wood burning stove inside our seasonal pop-up tea tent YURTea&coffee. 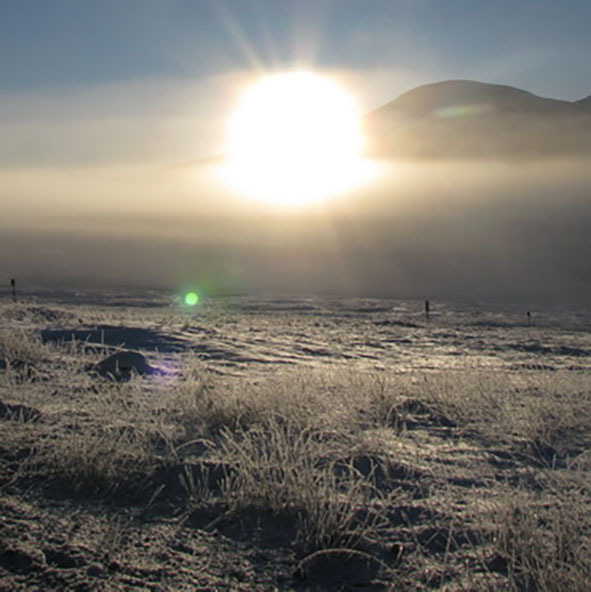 You will be assured of one of the warmest welcomes in the Highlands! The Isle of Skye is a great location for salmon and trout fishing, and it's spate rivers attract anglers from all over the country. Portree Angling Association has access to beats on the Snizort, Lealt, Kilmartin, Ose, Amer, Kilmaluag and Brogaig rivers. 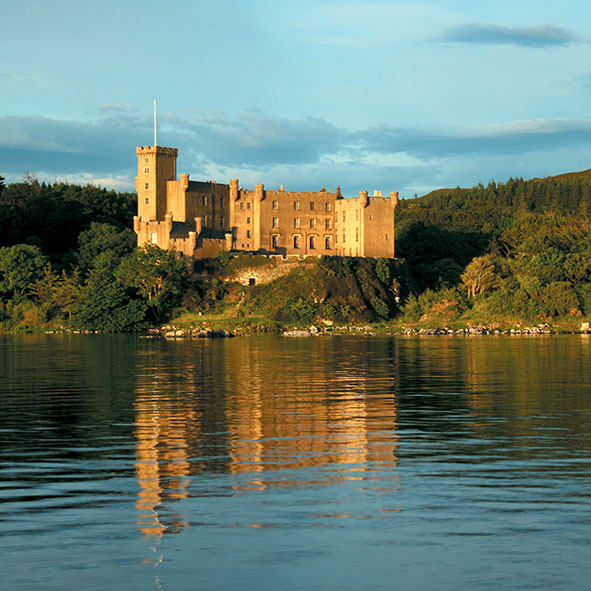 Dunvegan Castle has been the stronghold of the Chiefs of MacLeod for nearly 800 years and it remains their home. 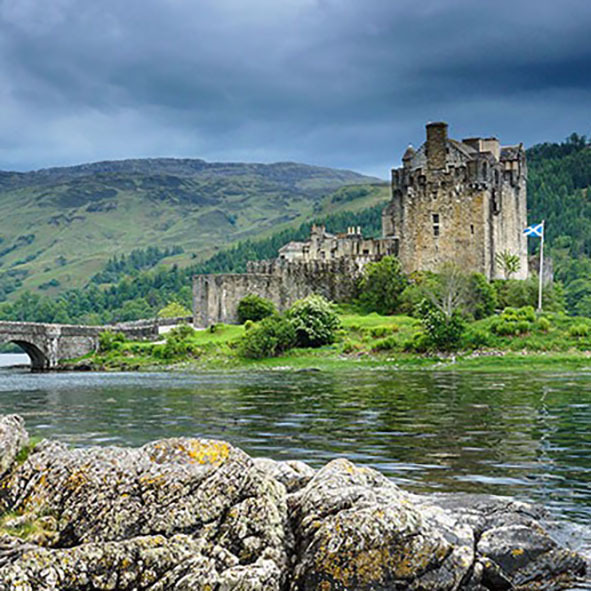 Built on a Rock once surrounded entirely by salt water, it is unique in Scotland as the only house of such antiquity to have retained its family throughout the centuries. Situated between Kyleakin on the Isle of Skye and Kyle of Lochalsh on mainland Scotland, Eilean Ban ('White Island') is a six-acre nature haven nestling below the Skye road bridge that spans the island. Originally home to the lighthouse keepers and their families, it later became the residence of the author and naturalist, Gavin Maxwell. Although internationally known for its association with Maxwell and with otters, Eilean Ban supports a wealth of wildlife and natural heritage of both local and national importance. Nature trails (suitable for wheelchair users) wind around the island leading to different points of interest, including the award winning wildlife hide, a viewing platform and a sensory garden. 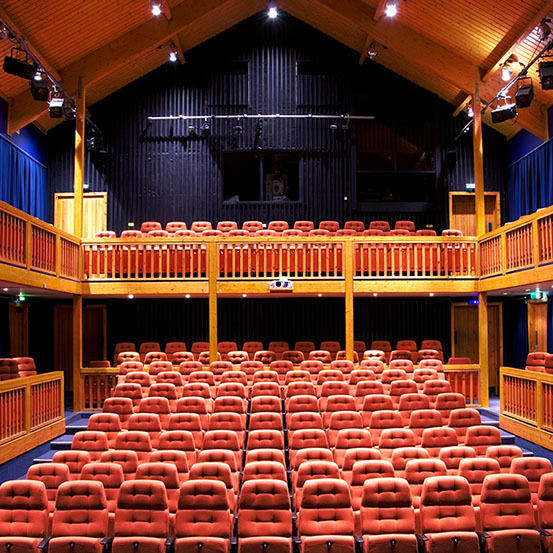 Guided visits to the island, including the Maxwell museum (a reconstruction of his 40ft living room with original artifacts, recreated by Virginia Mckenna), Teko the otter's memorial stone and the Stevenson Lighthouse, are booked through the Bright Water Centre in Kyleakin. 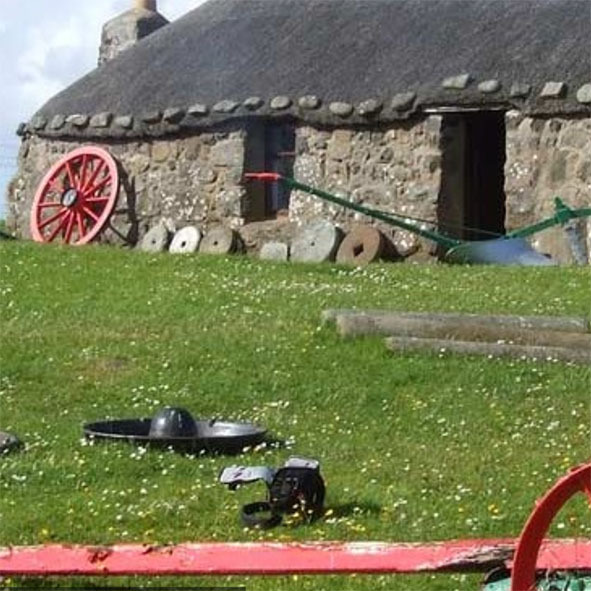 Discover the turbulent past and the rich cultural heritage of Skye by visiting the Aros Heritage Centre. 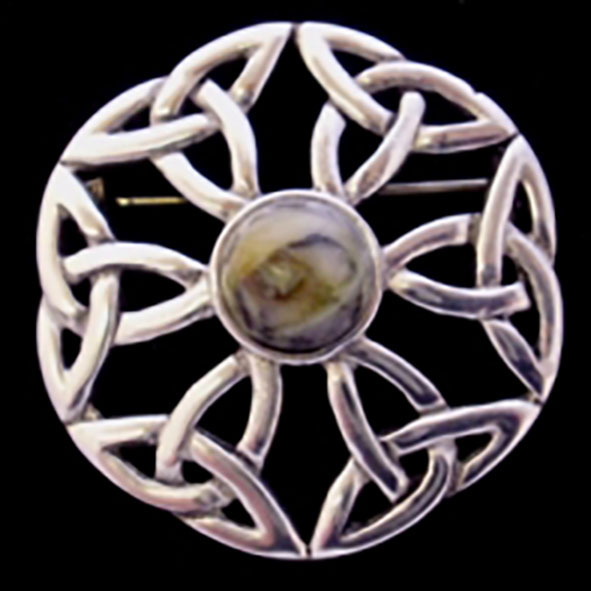 We are a friendly local shop showcasing our own Genuine Skye Marble jewellery, Also a large selection of gold, silver and freshwater pearls. Gifts priced to suit all pockets from fridge magnets to bronze sculptures. 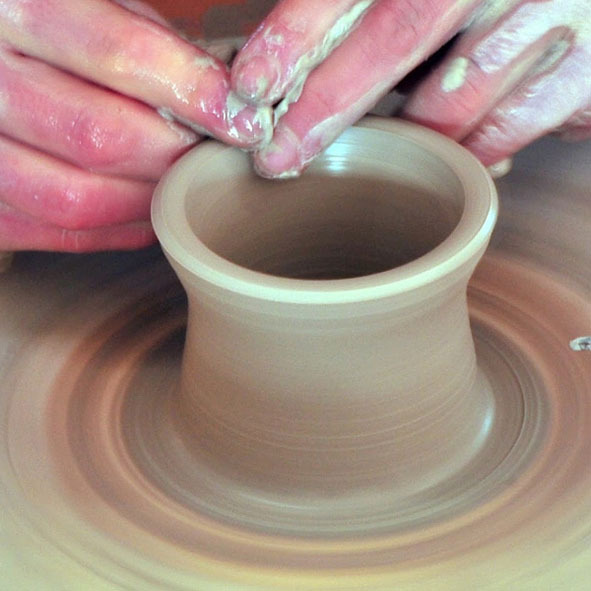 We make functional and unique pottery using our own clay recipe, with decorations inspired by the surrounding sea and landscape. 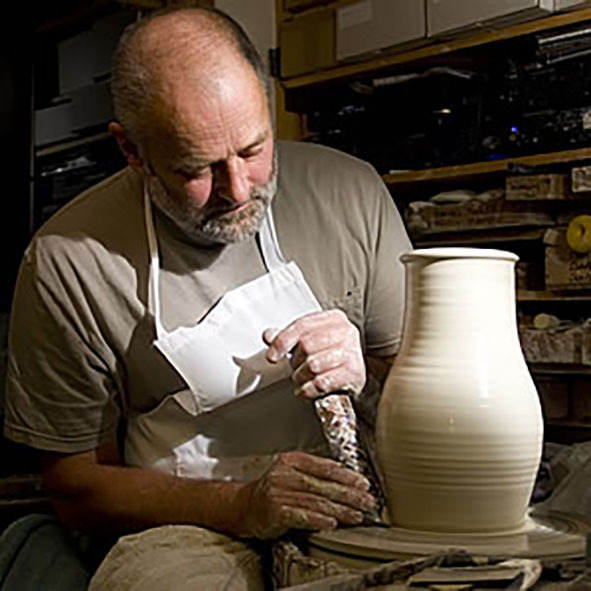 At Uig Pottery, our skilled team have been producing meticulously hand-finished pieces since 1992.